Until the sixteenth and seventeenth centuries, red kites scavenged roadside waste in cities like Paris and London. The French King Louis XIII used gyrfalcons to hunt flying red kites on the Plaine Saint-Denis, releasing those he caught from a window in the Louvre after cutting their two central rectrices (the first example of marking!). This is why, in French, the bird is called a ‘milan royal’, because only members of the royal court could fly it. It must have been an extremely common bird before guns were invented! Wingspan: 145 to 165 cm. Length: 59 to 66 cm. Weight: 800 g to 1,050 g for males, 950 g to 1,300 g for females. Sexual dimorphism: There is some size dimorphism among adults, with males’ wings measuring between 475 and 500 mm while females’ wings are larger, between 475 and 530 mm. Voice: Rather quiet, the kite can produce a kind of mewing call with a high-pitched ‘hi hi hi’. Click here to hear its call. The recording is taken from the CD ‘Tous les oiseaux d'Europe’ [All the birds in Europe], with the kind permission of Sittelle. Life span: Record of twenty-six years for a female. Habitat: The red kite is found in open areas, often farmland. Breeding: Two or three eggs on average, laid in March or April, which are incubated for between thirty-five and forty days, with chicks raised over a two-month period. The young must wait until they are around three years old before being able to begin breeding. Moult: Beginning in April or May with the primary remiges and ending in September with the tail feathers just before leaving to migrate. Young red kites begin moulting body feathers from their first autumn but the replacement of flight feathers does not begin before the following spring. Food: A highly opportunistic bird of prey often eating carrion. Identification: The red kite is an easily identifiable bird of prey as a result of, amongst other things, its long red triangular tail, which is sharply forked and is typical of the species. Its off-white head is accompanied by red-brown upper plumage and ginger lower plumage with brown streaks. 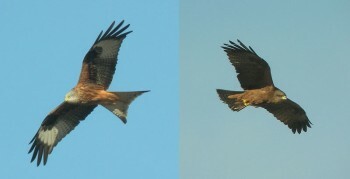 Three colours can be seen on the upper side of its wings, with two white windows, located at the same level as the wrists, on the underside, again characteristic of the red kite. Young red kites are easily recognisable in the initial months following their first flight: the plumage as a whole is paler, with the feathers above the wings ending in a small white fringe, while their irises are dark. It is fairly easy to distinguish between the two species in flight, as their plumage is of different colours (note the white marks at the same level as the wrists on the red kite) and the form of the tail (sharply forked on the red kite). The red kite is typically a species found in open agricultural areas used for extensive and mixed farming, where land is mainly grass-covered (fields and meadows). It avoids densely wooded areas as trees that are too close to each other are particularly ill-suited to its hunting methods and feeding habits. Equally, nearby warm areas are not, on their own, enough to attract nesting pairs. In France, hilly locations near alluvial plains that lie along the foothills of mountain ranges are perfect for red kites, which nest in plains at lowland and highland level (up to 1,400 metres). However, they regularly move above this height to find food. As soon as they arrive, in between attempts to mark their territory, paired red kites begin building a nest. This seems to prove that the two birds arrive at the nesting site already able to build. 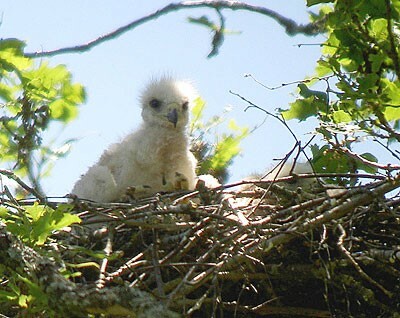 Birds that do not re-use the nest from the year before build a new one using a former crow’s or common buzzard’s nest initially. The nest, made of branches and twigs, is very often filled with paper, plastic and fabric. A short while before the female lays eggs, the birds place sheep’s wool in the nest in the form of a small bowl designed to receive the eggs. It is usually the male that goes to look for building materials within a radius of between seventy and one hundred metres around the nest. Items can also be brought to the nest during incubation and while chicks are raised. Nests are usually built in the main or secondary forks of a large tree. At a local level, in certain Mediterranean islands (the Balearic and Cape Verde Islands, for example), the birds nest in rocks or cliffs. This phenomenon has not been observed in Corsica. Nests should be easy to access, which is why the majority are found less than one hundred metres from the edge of woods and are very often located on a hillside. 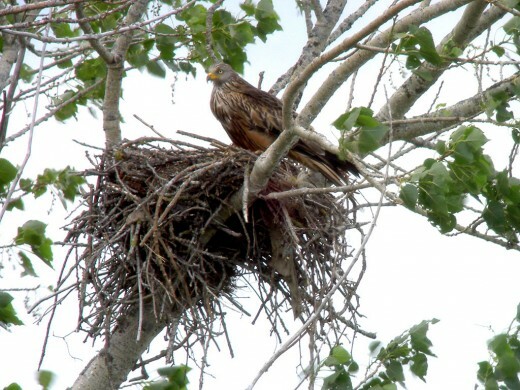 Kites also nest in hedges with large trees in them and, in some cases, in isolated trees. A final point worth adding is that the species can get used, to a certain extent, to the presence of humans near nests, with the birds sometimes nesting near homes, pathways and roads. Females lay two or three eggs, or in rare cases one or four. Clutches of three eggs are slightly more common. The oval eggs are white, or in rare cases off-blue, and are covered in red or dark brown marks that can be little or large. Eggs are usually laid between the end of March and April. Incubation lasts between thirty-one and thirty-two days per egg, or a total of thirty-eight days for a clutch of three eggs. The female begins incubating eggs as soon as the first is laid and maintains this role almost exclusively; the male only takes her place for very short periods. The male finds food for the female throughout this time, and this remains his primary responsibility in the first two weeks after hatching, a period during which the female feeds and looks after the chicks. After this, the male and female protect the brood and hunt for the young. Most kite pairs produce between one and three offspring, or more rarely four, that can leave the nest. Chicks stay in their nests for at least forty days, sometimes up to sixty, this period changing depending on the size of the brood and the availability of food. At this age, they leave the nest to flutter from branch to branch as they cannot properly fly until they are between forty-eight and fifty days old. After this, the family stays together and continues to use the resources around the nesting area until the chicks become independent, which generally occurs after three or four weeks. Red kites are a very opportunistic species. Their diets are highly varied and depend on surrounding conditions. While micromammals (field voles, water voles and moles) form the basis of their diets, red kites also feed on birds (mainly sparrows and young crows). Invertebrates (earthworms and land-based and flying insects) represent an important part of their diets. Red kites are also scavengers: the remains of domestic animals, collected from piles of waste and refuse near barns and farms, and avifauna and mammals that are victims of road traffic, probably represent a significant part of their diets, too. Unlike black kites, red kites are not found in marshy areas, although they do feed on fish and even take food from birds of prey from others species. Unlike black kites, which search through waste, red kites prefer to feed off black kites or crows, stealing their takings. Red kites are partial migrants. 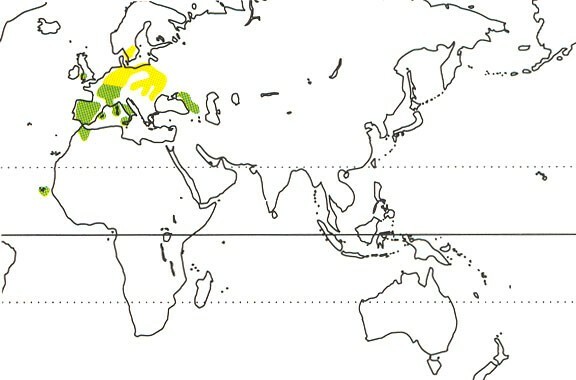 The most northerly populations from the mainland cross Europe, from the north-east to the south-west, to winter in Spain, France or, more rarely, North Africa. The most southerly populations are largely sedentary. As soaring birds, red kites mainly migrate during the hottest part of the day, from the end of the morning to early afternoon. They migrate alone or in small groups. A red kite’s post-mating migration begins at the start of August and lasts until November, with a peak migration period in October. Migrant red kite populations leave their areas very early. Pre-mating migration lasts from January to May and reaches its peak in February-March. The earliest nesting pairs generally reach their nesting site by February-March. Some pairs spend some of or all winter at their nesting site, and can be seen there from the end of December – this is what happens in Corsica, for example. Outside their breeding season, red kites are a gregarious species that form roosts made up of tens or even hundreds of birds. These roosts are most commonly found in small woods, copses or rows of trees. They are also often located near farms or small, isolated hamlets, with nearby inhabited areas probably ensuring a considerable degree of safety. The location of the roost can change from year to year or even from day to day. The global distribution of red kites is limited to Europe (the species is endemic to Europe). They can be found in tight band from Spain to Belarus, with Ukraine marking the eastern limit of their distribution. Further west, a small, recently-established population has developed in England. In total, five countries (Germany, France, Spain, Switzerland and Sweden) are home to some 90 % of the world’s population. In France, red kite distribution is mixed, but concentrated in five main areas: the foothills of the Pyrenees, the Massif Central, the Jura Mountains, plains and hilly areas in the north-east and Corsica. 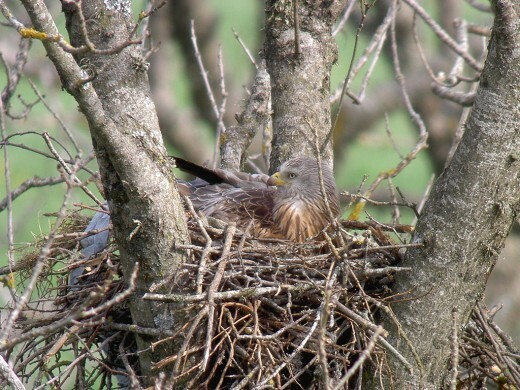 Five countries are home to some 90 % of the world’s red kite nesting population: Germany (10,500-13,000 pairs), France (2,340-3,020 pairs), Spain (2,000-2,200 pairs), Sweden (1,800 pairs) and Switzerland (1,200-1,500 pairs). If the United Kingdom (1,600 pairs), Poland (650-750 pairs), and Italy (300-450 pairs) are included, almost all of the global population, estimated at between 20,800 and 24,900 pairs, is accounted for. In France, the nesting population is estimated at between 2,340 and 3,020 pairs (LPO/CNRS study, 2008), almost 12 % of the world’s population! Over 5,000 of the birds also winter in France, mainly in the Pyrenees and the Massif Central. Significant red kite mainland and north-European populations fly over France during their spring and autumn migrations. Seemingly widespread across its area of distribution in the 16th and 17th centuries, red kites experienced a steep decline in population from the mid-nineteenth century onwards. 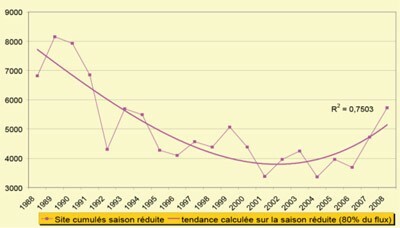 This decline slowed down in France, with population sizes even increasing from the start of the 1970s, largely due to protective measures put in place (with legal protection for all birds of prey in 1972). The birds’ distribution widened considerably until the end of the 1980s, but started to decrease in the early 1990s – a trend that continues today, despite the efforts of the ‘Red Kite Network’, part of the national preservation scheme. A 2008 study essentially shows a population decrease of more than 20 % between 2002 and 2008. Statistically significant decreases have been recorded in the Massif Central and north-east France. 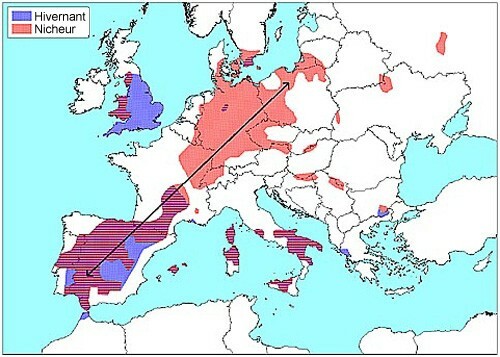 This decline also affects the other two largest European populations in Germany and Spain. However, the population of the species is increasing in Great Britain, Switzerland and Sweden. Even twenty years ago, red kites were a common bird of prey. Today, the species is severely endangered. Its population size has fallen and its distribution has decreased considerably. There are numerous reasons for this decline: increases in cultivated areas and more intensive types of farming with associated phytosanitary practices have, in part, damaged habitats and reduced populations of red kites’ prey. Further factors include accidental poisonings through vole population control using bromadiolone, intentional poisonings, which are completely illegal, waste site closures, shootings, electric power lines and collisions with vehicles and wind turbines. Since the end of the 1980s, farming has changed a great deal in areas that have been traditionally limited to raising cattle. The number of maize fields has increased, replacing meadows, grassland and other crops. This land was formerly home to a variety of prey for red kites, although maize fields offer poor food resources for them. Field sizes in France (excluding artificial meadows and lawns) decreased by 16.4 % between 1982 and 1997. Unlike intensification, decreasing agricultural influence, with a consequent increase in woodland rather than open countryside, more favourable to kites, also has a negative effect. 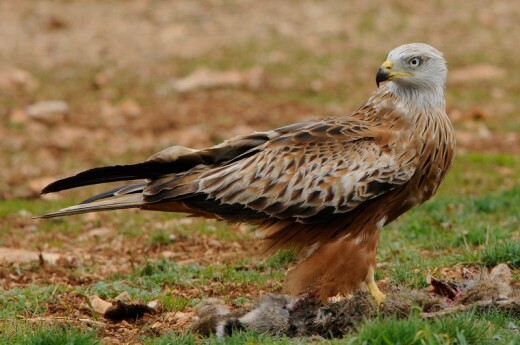 As scavengers, red kites’ hunting methods make them particularly vulnerable to poisoning. Certain groups of products that are currently used pose immediate risks, both in the long term and indirectly (decreasing food resources) – such products include rodenticides, anticoagulants, crow poisons, molluscicides, insecticides and some herbicides. Red kites can also be contaminated by lead shot (saturnism). Bromadiolone, a powerful anticoagulant, is authorised by the state as a method of combating cyclical increases in water vole populations, which cause extensive damage to fields and meadows, leading to severe losses for farmers. Red kites, at the end of the food chain, are subject to concentrated levels of harmful substances. They suffer from chemical treatments that affect small invertebrates like earthworms as soon as they come into contact with the substance in question. Kites are also still subject to persecution by hunters and farmers who consider them to be a threat to small game. Kites can sometimes attack chickens in farmyards – a rare occurrence, but one that contributes to their poor reputation. This kind of persecution was mainly a problem up to the 1970s, while today, accidental poisoning has more of an effect on red kites. In short, poisoning from bait laid for wild animals and crows is one of the main causes of red kite death in France and Spain. 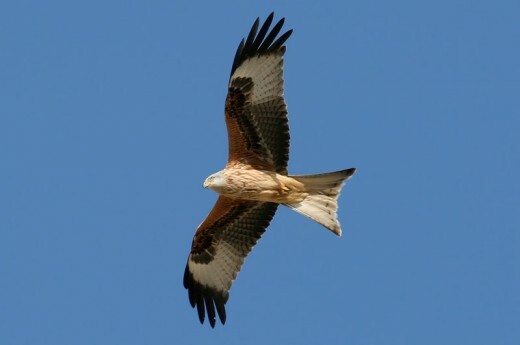 It is also a major cause of reduced red kite populations on certain islands, such as Sardinia, Sicily and Majorca. Red kites often visit open-air waste pits and landfill areas where they can easily find food (waste itself or rodents living from it). The 1999/31/EC European Council Directive of 26th April 1999 concerning landfill sites intended to reduce rubbish dumps before July 2002. 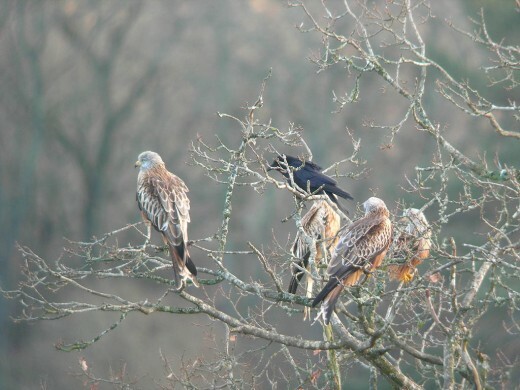 The steady decrease in landfill sites could have severe consequences for red kites. Red kites spend a lot of time flying slowly at low heights. They can become agitated and are easily recognised. This renders them particularly vulnerable to illegal shooting that can take place during red kites’ breeding periods or during migration (Pyrenees) and wintering (Spain). Overhead electricity lines are a significant threat to large birds like red kites. They can significantly influence a population’s behaviour and movement, directly increasing mortality rates. This factor becomes especially significant when it relates to a species that is so threatened. The most deadly part of the year for red kites is when they migrate. According to a 2001 study, road traffic is responsible for 12.5 % of red kite admissions to care clinics. This threat is linked to kite’s hunting methods, the abundance of small rodents and roadkill by roadsides and features of roads (lack of hedges, grassy surfaces, raised roads). 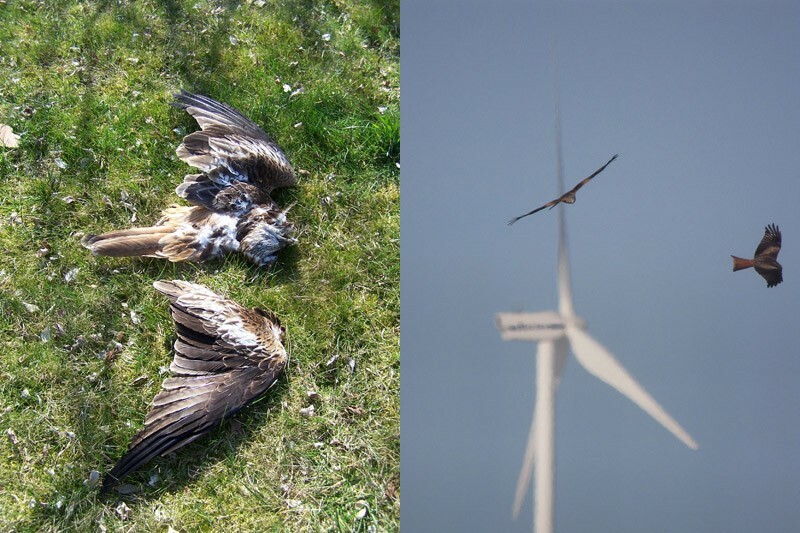 Red kites’ hunting methods make them vulnerable to blades on wind turbines. 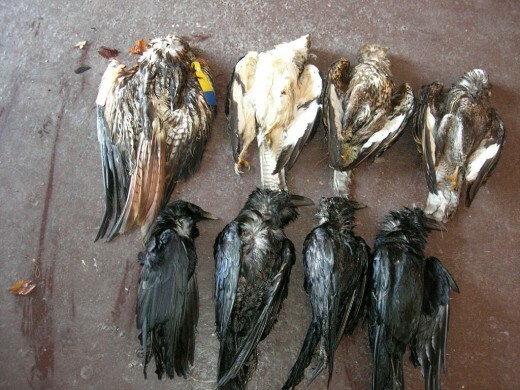 In Germany, some 16 % of dead birds found beneath wind turbines are red kites, with 43 % being birds of prey. Wind turbines affect red kites more than any other species. Woodland and agricultural farming can disturb brooding females and pairs feeding a brood. If the parents become scared and leave the area, the fate of the nest is threatened. In short, prolonged parental absence can have grave consequences, leading to eggs becoming too cold and embryos dying or a lack of food for offspring. The nest loses protection and is exposed to natural predators, such as crows, which take advantage of the opportunity by swallowing eggs and eating chicks. Red kites can also be disturbed by hinting when they establish a territory and create a nest. Red kites can compete with black kites in certain areas. While the latter establish their territory much later, conflicts between the two species have been reported. Black kites moving into red kites’ territory is a result of the declining numbers of red kites. Black crows can steal red kite eggs. Red kites, like every bird of prey, are protected by French statute in the law of 10th July 1976 (with implementation regulations on 17th April 1981) concerning nature protection. Furthermore, legal protection is enshrined in Appendix I of the ‘Birds’ Directive (n° 79/409, 6th April 1979). This European Directive has applied to all members of the EU since 6th April 1981. 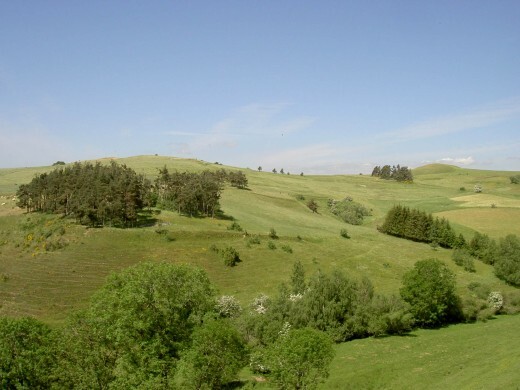 It seeks to ensure the protection of all species of bird listed in Annexe I of the Directive and allows special protective areas to be created to support the Natura 2000 Network. Legal protection also appears in Appendix II of the Berne Convention, which seeks to ensure the conservation of wild flora and fauna and their natural habitats across Europe, notably for species and habitats that require the cooperation of several states for conservation. Furthermore, red kites, as a migrant species, are given a worldwide protective statute under the Bonn Convention (82/461/ECC of the Council, 24th June 1982). Like all species of flora and fauna that face the threat of extinction, red kites are protected by CITES and also the Washington Convention. This ‘Convention on International Trade in Endangered Species’ is an international agreement between states seeking to ensure that international trade in wild animal and plant specimens does not threaten the survival of the species that it covers. Given that the world’s red kite population is limited to Europe and that red kite populations have decreased in key countries recently (Germany, France and Spain), red kites was reclassified, in 2004, as a category two European species of conservation concern (SPEC 2), according the criteria of Birdlife International. For the same reason, the species appears on the UICN’s red list. Its status was re-evaluated in 2005: previously considered a species of least concern, it is now one of the world’s near-threatened species – a species that can be considered, in the short term, ‘endangered’ or ‘vulnerable’ if its situation does not improve in the years to come (source: Birdlife International, 2005). 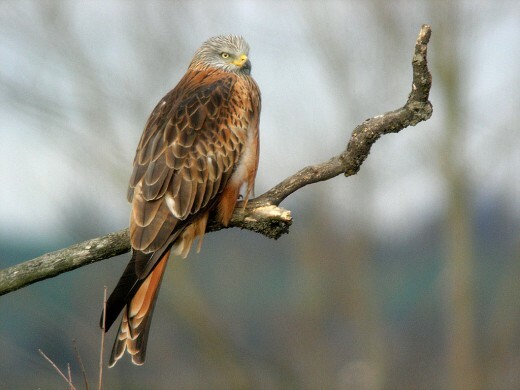 In France, red kites are now considered a vulnerable species (red list update, 2008). France is home to over a quarter of the world’s red kite population – the species is one of the most endangered in the country.